Watching the wind, rain, and even snow come down from a winter storm up close is one of the advantages of having a sunroom. But after any particularly harsh storm rolls through, it’s a good time to have a look around the sunroom or conservatory to assess any damage. Obviously, there are some issues that can pop up during a major storm: falling branches can damage windows, long-standing ice could wreak havoc on joints, and the weight of too much snow over a long period of time could create too much stress on the structure. Of course, no matter how well built it is, a conservatory can only do so much against a flying branch that breaks away from a tree. If that is a potential concern, look for ways to prune trees to prevent a problem as well as keep the tree healthy. Part of the appeal of a sunroom is the ability to bring the outdoors inside, but a little bit of prevention can protect your investment. A small gap in the sunroom can also be a problem when it comes to ice. On a house without proper insulation, small ice dams can form near the gutters, preventing melted snow a place to go. 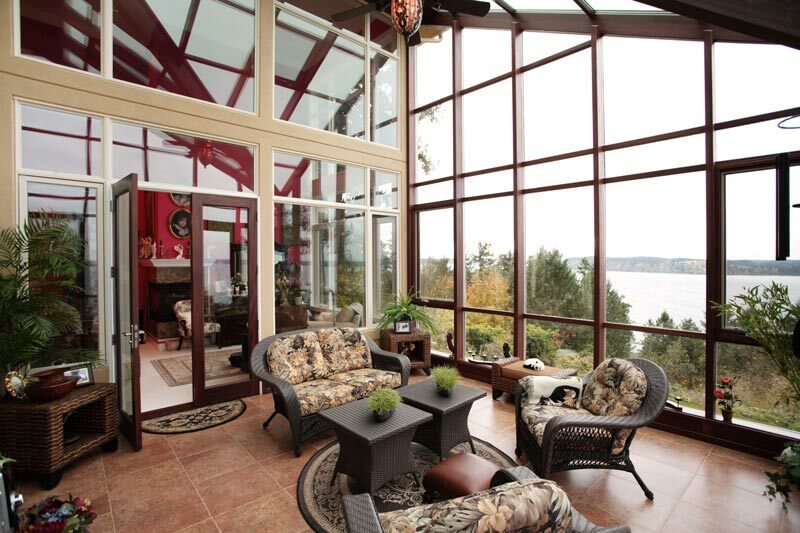 Any well-built sunroom can withstand usual windstorms. But, if you feel an unwanted interior breeze on a particularly windy day, closer inspection may be needed. Try to pinpoint where the draft is coming from – you may be able to fix the issue yourself with a little bit of interior caulk. But if the problem is coming from the outside of the sunroom, an experienced sunroom professional may need to be called. A small gap in the sunroom can also be a problem when it comes to ice. On a house without proper insulation, small ice dams can form near the gutters, preventing melted snow a place to go. That water then backs up under the shingles, refreezes, and causes damage to the roofing. That isn’t as much of a problem with sunrooms, but even a little bit of standing water that finds its way into crevices can expand and cause bigger gaps. After any outdoor freezing, keep an eye out for any dripping water. 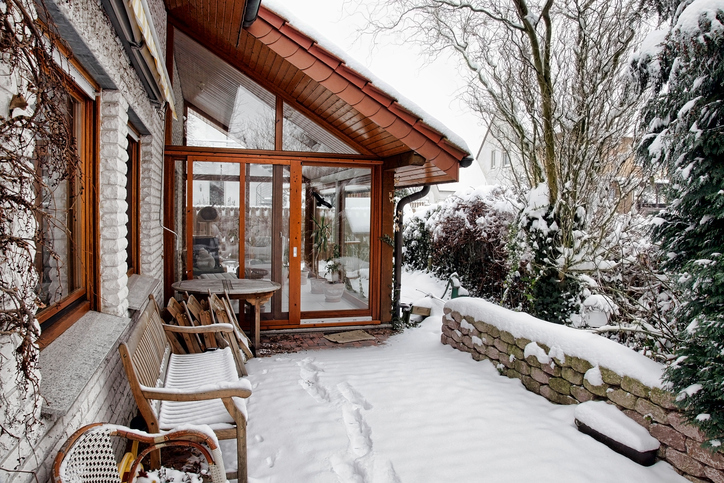 Global Solarium sunrooms and conservatories are engineered to deal with snow build up. However, if your area gets hit with larger than normal amounts of snow, there are things you can do to alleviate that extra weight. Roof rakes are especially designed to prevent damage to roofing, and many act as large squeegees. Telescoping handles allow you to reach to the very top of almost any sunroom. When it starts to pile up, spend a few minutes clearing the accumulated snow. Just be careful not to pull eight inches of snow down on top of you! The name alone elicits thoughts of summer, but sunrooms are equally comfortable in the winter. Just make sure you take the time to make sure your enclosure remains comfortable with a quick inspection during or after a large seasonal storm blows through. If you do notice some damage has occurred to your sunroom, contact Global Solariums for any repair questions.